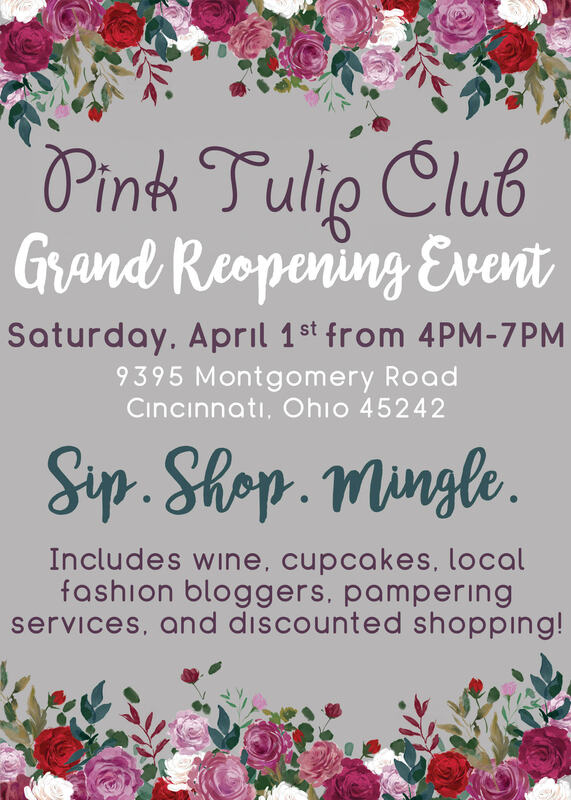 Pink Tulip Club – Grand Reopening Party! I just visited Pink Tulip Club in Montgomery (a SUPER cute women’s fashion boutique with a location in Montgomery and another in Hyde Park). The Montgomery location just got a big remodel and it looks amazing! They’re actually having a fashionable fete to celebrate their new digs! Below are all the details! I’ll be there, along with a few of my favorite local fashion bloggers! Hope to see you! Previous PostThree Tips for Cruelty Free Living!Next PostA Fab Fish Recipe!